An online competition has been launched to allow fans to vote for their local HMV music store to stage the official launch of the Starry Eyed singer's new album. The store with the most votes will host a performance and signing with the chart star to mark the release of her second album, Halcyon, on October 8. Fans can vote by downloading an app on the Facebook page of both Goulding and HMV. The competition closes in two weeks. Goulding, a former Brit Awards Critics' Choice winner, saw her debut 2010 album Lights enter the UK chart at number one. It has since sold in excess of 850,000 copies. The album also reached number two on the US Billboard Hot 100 and has been certified double platinum. 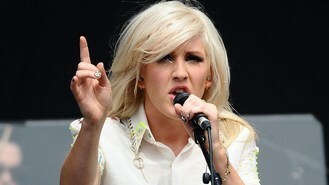 Fans can vote online for Goulding to visit their local HMV store at www.facebook.com/hmv.